AP Police constable apply online 2018 process for filling up application form has been started @ slprb.ap.gov.in. AP police recruitment 2018-19 has been started for the vacancies of Police Constables, Warders and Firemen. As per AP police constable notification 2018, this recruitment is organized for 2723 vacancies available in various units and departments of A.P. Government. Local candidates of Andhra Pradesh who are dreaming of doing a police job must apply to any vacancy available against AP constable notification 2018. Dates for registration of online application are Nov 12 to Dec 07, 2018. For Post Code nos. 01, 02 & 03 – A candidate must be 18 years old but not has attained an age of 22 years. But if candidate is a local resident of A.P. and presently working as Home Guard for at least 365 days then upper age limit for him/her is 30 years. For Post Code nos. 04, 05 & 06 – A candidate must be 18 years old but not has attained an age of 30 years. Candidates who wish to apply for any post available against AP constable notification 2018 should be medically fit and free from any types of ailments or defects like flat foot, Varicose veins, Hammer toes, decayed teeth, fractured limbs, Knocking-knees, pigeon chest etc. Persons with physical disabilities are also not eligible to apply for AP police constable recruitment 2018. 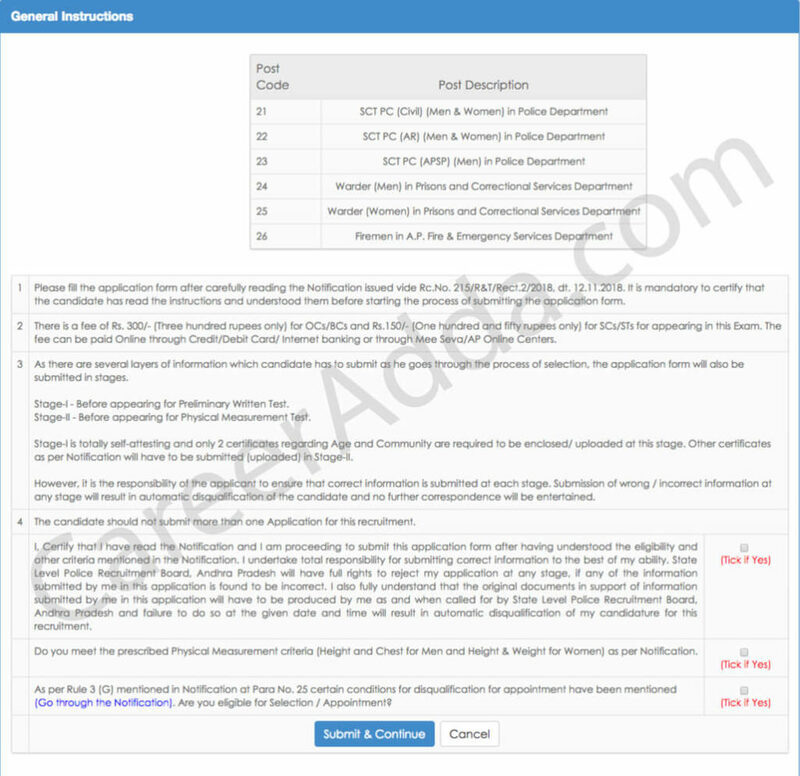 After checking AP Police Constable 2018 eligibility conditions, interested candidates can send their applications through online mode only in the prescribed format to be made available on website slprb.ap.gov.in from Nov 12, 2018 at 10 AM to Dec 07, 2018 at 1700 hours. 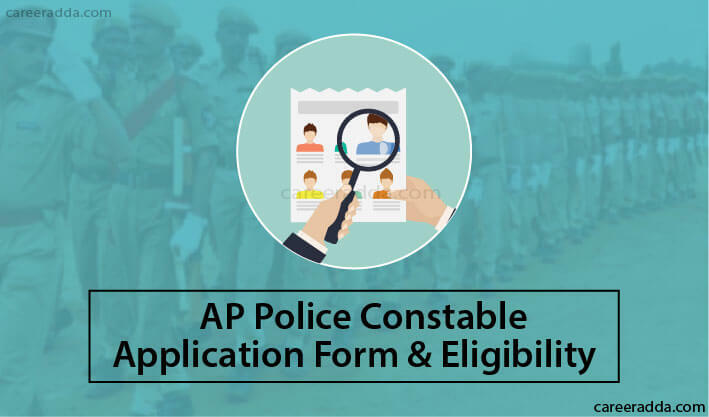 How To Fill Up AP Police Constable 2018 Application Form? 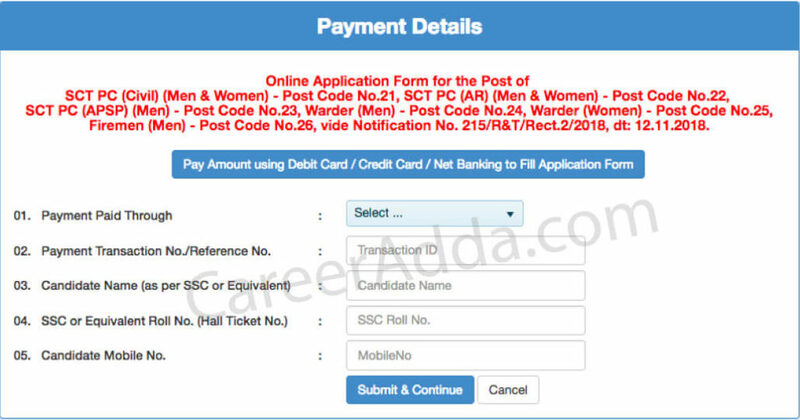 Type your SSC or equivalent roll / hall ticket no. Enter your SSC or equivalent roll / hall ticket no. All the local candidates of AP of SC and ST category are needed to pay an amount of Rs. 150/- towards the application processing and examination fees. Fees for other local candidates of AP is Rs. 300/-. Candidates can pay the prescribed fees through both modes – online and offline. To pay fees online, they will have to use credit / debit card or internet banking service. In case, you want to pay fees through offline mode then you will have to visit any AP Online / MeeSeva (e-Seva) centres. Both modes of payment shall be available up to Dec 07, 2018.